The Doctor is in! Stephen Strange ends the month of April and the first season of the 2018 Fantasy Comic League on a high note. After reminding audiences why he holds the title of Sorcerer Supreme in Avengers: Infinity War, Doctor Strange breaks out of his depressed and damned state in the comics. At the end of Damnation, he posts 15 points to claim his first “Hero of the Week” title. Peter Parker learns how to trust the Venom symbiote in Venomized and shares second place with his longtime adversary. Spider-Man and Venom both score 11 points in the final week. Hawkeye and Kitty Pryde both come in at fourth place with 10 points. Clint is on the hunt for Deadpool, while Kitty Pryde forms a few search parties to track down the original Wolverine. The Avengers event “No Surrender” wraps up with the heroes beating both the Challenger and Grandmaster at their own game. A new Avengers team statue is constructed in honor of the major players with both Doctor Voodoo and Falcon feature prominently in the new landmark. The two heroes also survive the Damnation event, as well as tying for sixth place with eight points. For the first time in a while, the weekly power rankings perfectly feature only 10 heroes. The three remaining characters tie for the final spot with seven points. 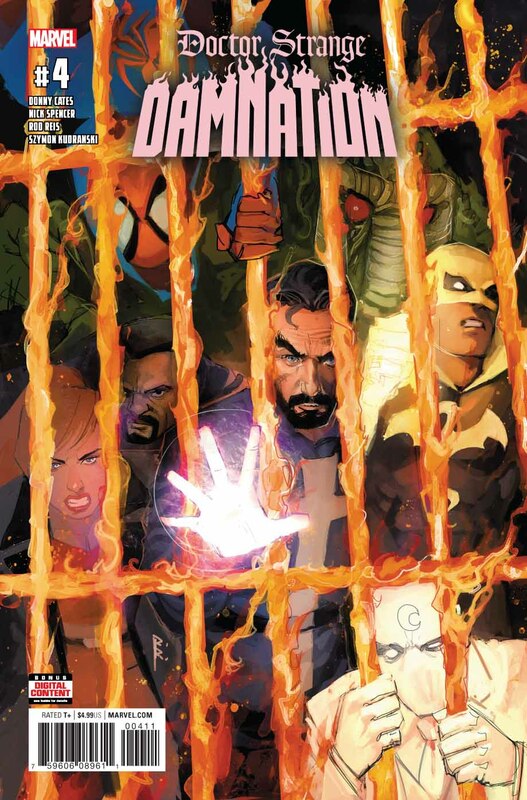 Captain America and Thor pop up in the main books from the week including Avengers, Damnation and Venomized, while the third hero, Moon Knight, mainly shows up in Doctor Strange’s event plus his own solo series. Fan favorite character Valkyrie finally makes her debut in the #FantasyComicLeague when she joins the Exiles in their second issue. Hero and power usages are a combination of all Fantasy Comic League divisions: Asgard, Danger Room, Knowhere, Latveria, Midtown, Multiverse, Negative Zone and Wakanda. League participants should cross-reference the official points with their hero roster and drafted powers for their heroes’ scores. Please make sure to tweet any questions or comments to the official #FantasyComicLeague tag and @MixedMarvelArts for discussion!